Network scientific journal “Sustainable innovative development: design and management” is addressed to scholars, teachers and students, employees of federal and regional governments, as well as all those interested in the practical application of ideas and mechanisms of sustainable development for transition to a qualitatively new state of society, development and integration of natural, engineering and social sciences. 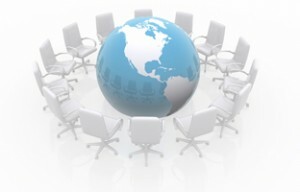 We work in the context of the global crisis (financial, economic, social). 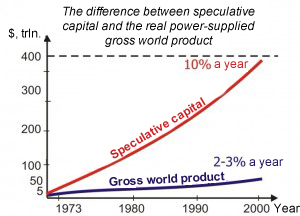 Speaking of sustainable development, it seems that we could only dream of it. But it is necessary not only to look for ways out of the crisis, but also to maintain methods for transition to sustainable development. It is vital to design the transition from crisis to stable increasing economics and social development. Objective values ​​will help to assess threats of potential crises and to develop a set of measures in order to prevent their occurrence. It is necessary to develop solutions for the management of sustainable development, which provide the implementation of new technologies while minimizing various risks. We need to create mathematical models, information technologies that manage sustainable development, ensuring social stability, when no changes in the external conditions of the world economy, nor innovation and technological revolution, could destroy the livelihoods of millions of people. Problems of sustainable development have become a subject of theoretical and applied research; they are actively discussed in the scientific press, at national and international conferences. Political, environmental, organizational, financial, and economic aspects of sustainable development are the subject of many works by domestic and foreign scholars. However, there are few studies in which theoretical and methodological foundations of these aspects are interrelated in a coherent picture and based on the general laws of nature in terms of universal systemic measures. 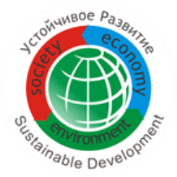 The Department of Sustainable Innovative Development of the International University of Nature, Society and Man “Dubna” has developed over the years hand in hand with the International Scientific School of Sustainable Development named after P.G. Kuznetsov. The methods of our scientific school are based on the universal laws of nature, as well as innovative technologies for the design of sustainable development. Scientific School of Sustainable Development is known far beyond Russia. Subjects of its work cover theoretical, methodological and a pplied research in various aspects of sustainable development: organization, planning and management, technology, ecology, economy, social sphere, ideology, philosophy. Many works have been done in collaboration with domestic and foreign partners of the department and have been tested during the interdisciplinary seminar “Fundamental and applied problems of sustainable development”. A number of works is supported by grants from the President of the Russian Federation, the Russian Foundation for Basic Research and international organizations. Scientists around the world established successful contacts with each other long ago. However, “acceleration” of life, science and economy requires an increase in the intensity of scientific communication. To achieve this, it is necessary to accelerate the process of introducing new ideas, methods and technologies into scientific circulation, particularly in the areas that are related to sustainable development. We believe that network scientific publication will help create a unified communication space for those who are engaged in issues of sustainable and innovative development. The purpose of the network journal is prompt publication of significant research findings in the field of sustainable development and effective practical results of their application, the proliferation of new theoretical developments and positive experience on sustainable development using Internet technologies. Network journals are a rapidly growing technology that allows a wide range of readers to: quickly get acquainted with the latest scientific developments, pursue discussions with authors and other stakeholders. In addition, it provides a constant and reliable access to the materials and their long-term storage. All these advantages allow considering this technology as one of the most important ways of disseminating scientific knowledge at the present stage of world science development. We hope that our journal will become an information platform for creative dialogue and professional discussions.